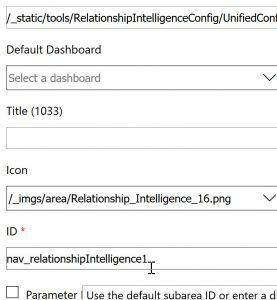 This is the third post in my series about Automatic tracking of all Incoming and Outgoing emails in Dynamics 365 using Exchange Mailflow rules and Server Side Synchronisation. 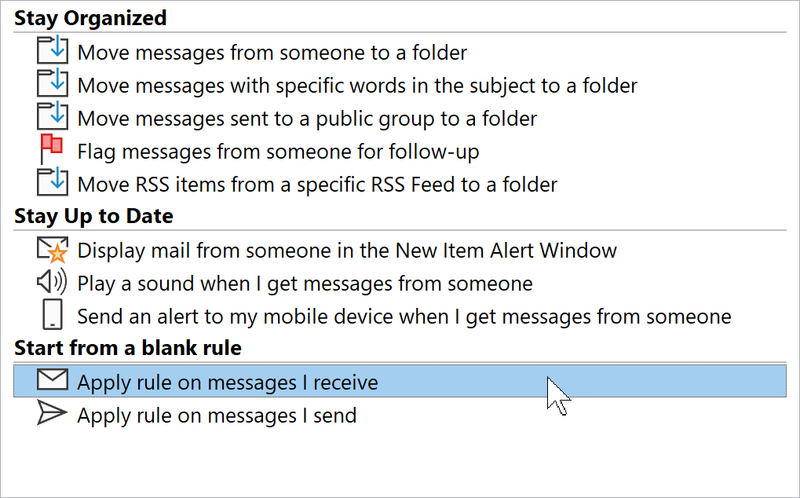 In my previous post, I showed how we can track all incoming and outgoing emails for all users using 1 single Exchange Rule and for each user, we create 2 Outlook Rules. In this post, I have an even simpler solution with only 1 user and 2 exchange mail flow rules. 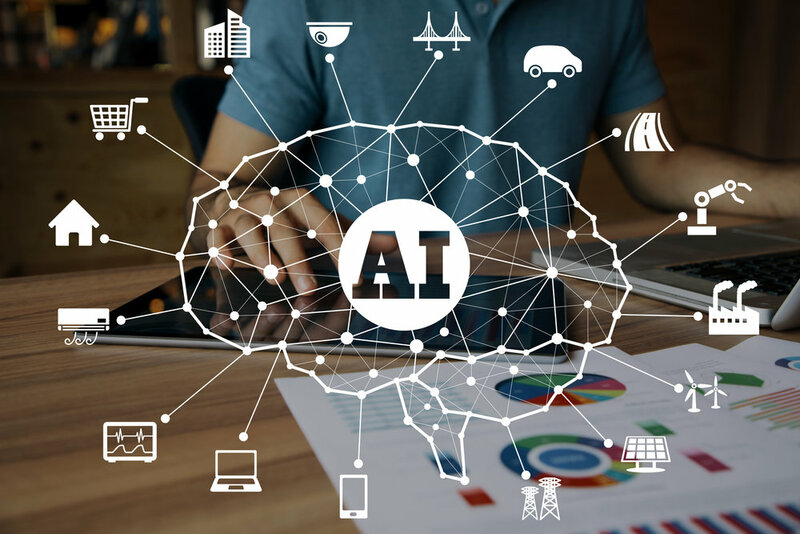 But firstly, it is important here to note that the main issue for automtiaclly automatically tracking outgoing emails is that any Outlook Rule for Sent emails is always “Client-only”. That is, the rule will only run if Outlook is open. 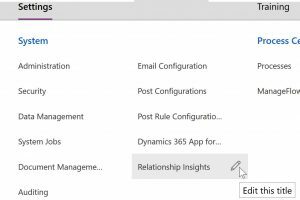 I have not found a way to have an Outlook Rule that works server side to copy a sent email to a tracked Dynamics 365 folder. Hence, the use of Exchange Online Mail Flow and the direct use of the Exchange transportation layer. 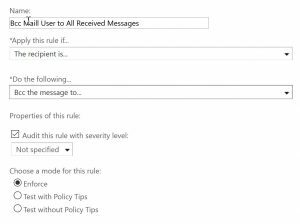 But what if you don’t want to even create the outlook rules as per my two previous posts? 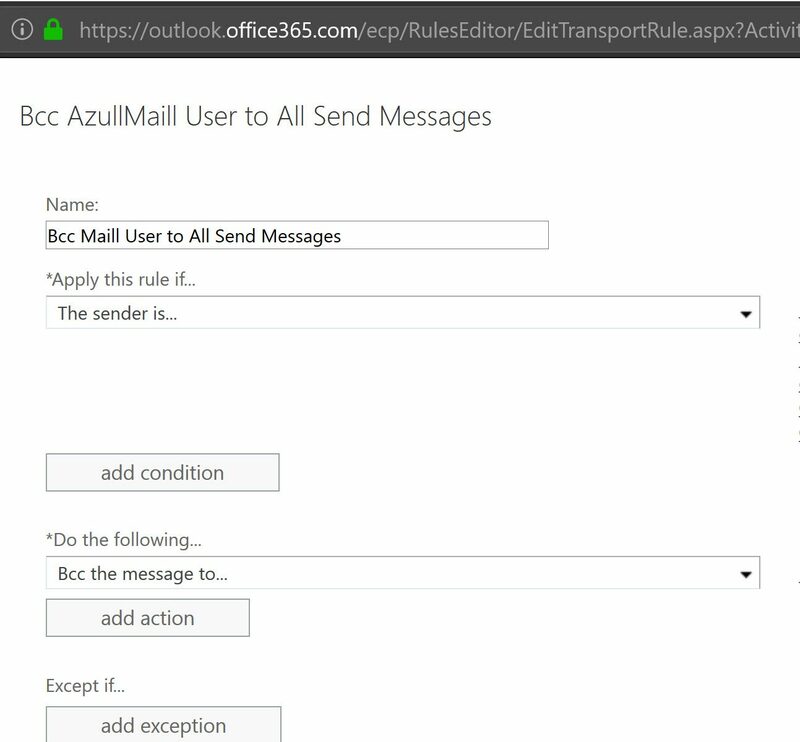 The answer is simple: You can literally use 1 single Mail Box and Dynamics 365 user along with 2 Exchange Rules to automatically track all Outgoing and Incoming emails for any email inbox even if this user has not got Dynamics 365 App for outlook configured and even if this mailbox is not a Dynamics 365 user. 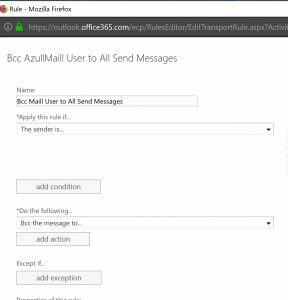 The approach is simple: Using 2 x Exchange Mail Flow rules you can Bcc every outgoing and every incoming email to all the mailboxes you want. 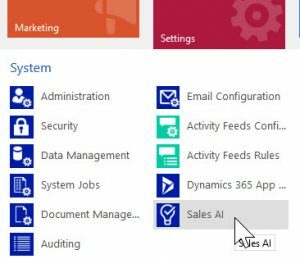 All these emails are Bcc’ed to a Single Mailbox of a Dynamics 365 User who has App for Outlook configured. This way, all emails are tracked. Tried and tested – but please let me know if you got other ideas/thoughts. 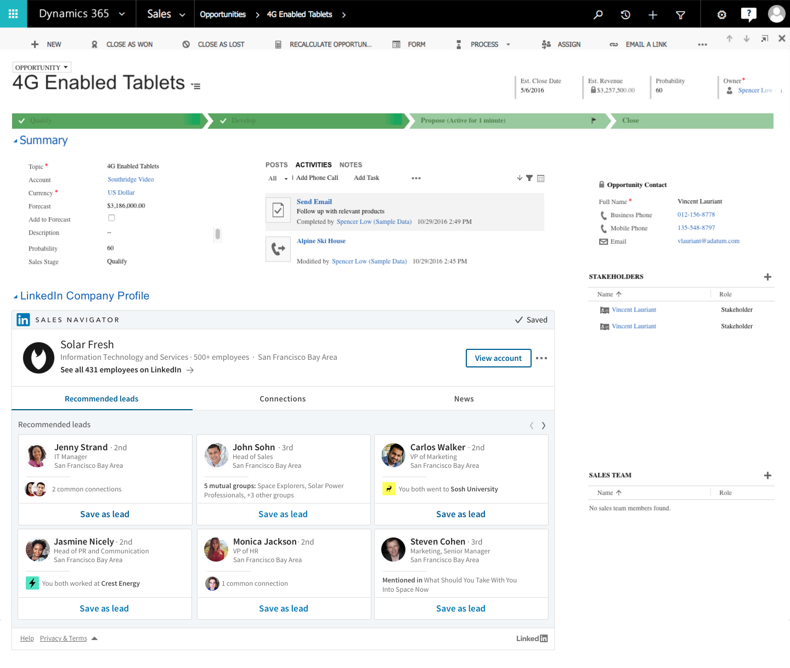 As my blog readers are aware, I’m a keen learner, reader and blogger on GDPR Compliance and Customer Relationship Management solutions with focus on Dynamics 365 CRM. 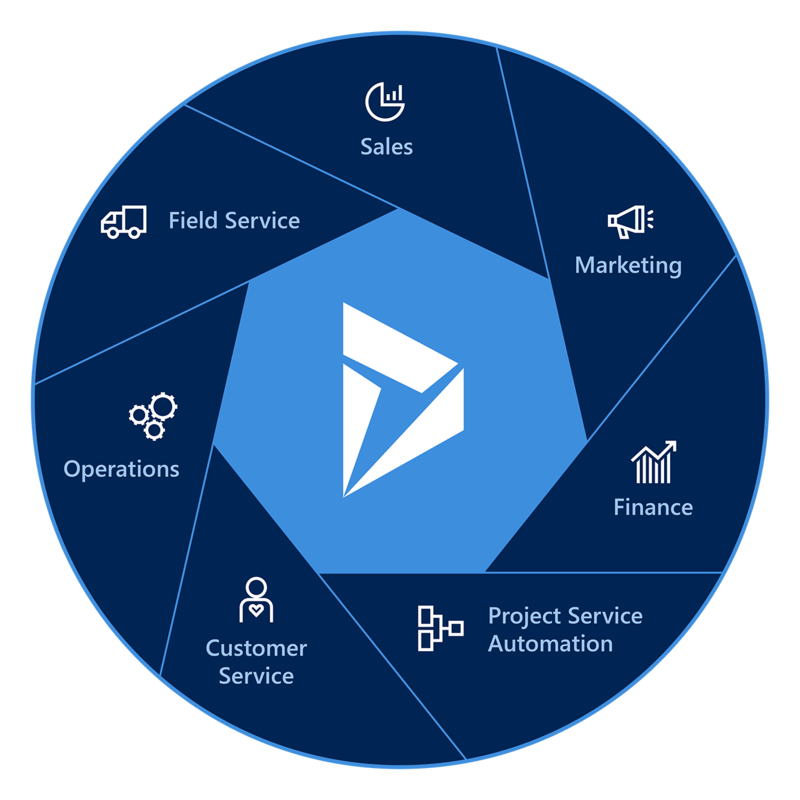 I’m particularly interested in the fact that hosting your application in a GDPR compliant Cloud, minimises your business risks to GDPR fines (up to 4% of your business revenue). This is because if you host your solutions in the Cloud, you have “outsourced” a good portion of your liability to your Cloud vendor. This obviously does not remove your business direct liability for GDPR but it removes your need to spend time, resources and money ensuring that your on-premise data centre (or server rack!) is compliant with GDPR including who can access it physically and virtually/remotely. 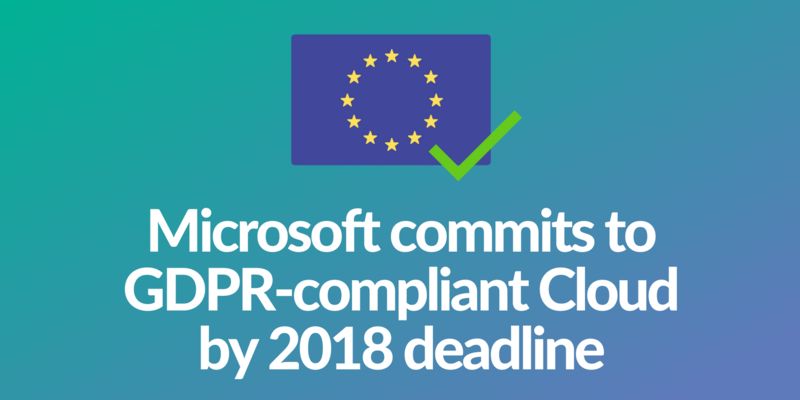 Microsoft Cloud has become the first Cloud Vendor (and I think the only so far) who commits to GDPR contractual commitment to all its Cloud clients.